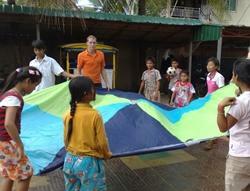 Volunteers in Indonesia will be based in Yogyakarta, taking part in a Teaching or Care project. Teaching volunteers work alongside local teachers to teach children conversational English and Care volunteers work with underprivileged children in orphanages and day care centers. Both destinations promise a wonderful opportunity and unique experience for future volunteers.